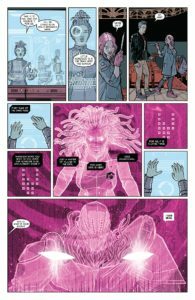 Oscar-nominated screenwriter Eric Heisserer, writer of the international sensation Arrival, joins forces with Harvey Award-nominated artist Raúl Allén (WRATH OF THE ETERNAL WARRIOR) for the next electrifying chapter in Valiant’s latest prestige format epic! In a world where people like Aric of Dacia, alias X-O Manowar, exist, where near omnipotent psiots like Toyo Harada manipulate the lives of everyone around them for their own ends, there needs to be someone looking out for the “little guy”. Not so much the guy down the street selling newspapers (do people still sell newspapers on the street? ), or the husband and wife running the corner grocery. There are other people trying to get by on seemingly minor and insignificant talents; Psiots who risked death to have their potential unlocked by Harada’s campaign to raise a super-powered army, but were judged to be less than worthy. Nikki Finch talks to birds. They talk back and everything. Owen Cho can manifest inanimate objects of any kind. He just has no control over what he manifests or when it shows up. Avichal Malakar can turn to solid stone, with all of the durability that goes with it; however, when stone he’s completely immobile. These three are among those seen as failures by Harada, and since his fall from power they’ve been forced to live their lives without the relative security of their former home, the Willows. To make matters worse, now they’re being hunted by a creature called Rex-O, who is in turn under the control of a mysterious party, for reasons unknown. 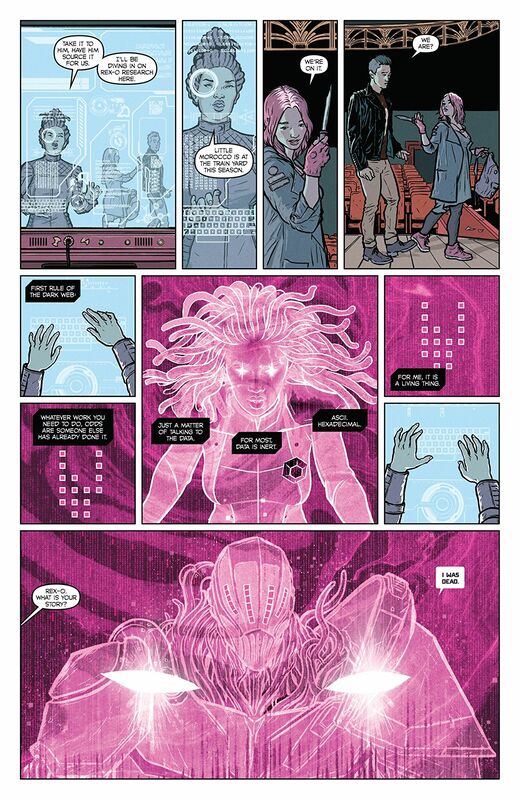 The only person willing and able to take these marginally powered youths under wing is Amanda McKee, the psiot known as Livewire. Having gathered Nikki, Owen, and Avichal together, she’s using her abilities to connect and control technology of any kind, to discover the identity of the person or persons pulling Rex-O’s strings. Having been abandoned once already, the three young psiots are going to have to stand together and put their faith in Amanda if they want to survive. 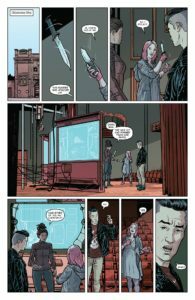 Valiant Entertainment has built a strong reputation for comics that break away from the tropes of superhero books. Instead of building worlds around super-powered characters in flashy costumes, they started with our world and inserted psiots and alien invaders. The emphasis has always been on how the real world might react to the appearance of these powerful beings, and on how those powerful beings would respond to the world around them. 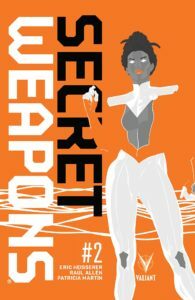 In Secret Weapons, Valiant has once again shifted the emphasis away from the likes of X-O Manowar and Ninjak, and put the spotlight on the less than impressively powered. The abandoned and neglected. Even the inclusion of Livewire, a fan favorite and powerful in her own right, but her abilities aren’t the flashiest (okay, there was that time she took Aric’s X-O armor away from him and used her powers to control the alien technology… that was pretty cool). Writer Eric Heisserer has put together a story about a group of people who may have powers, but those powers aren’t really the most useful or convenient. They’re kids who’ve been let down and are dealing with that abandonment as best they can, trying to pick up the pieces of what’s left of their lives. Then their attempts to live lives under the radar are interrupted and they’re back into the same world that previously had no use for them. 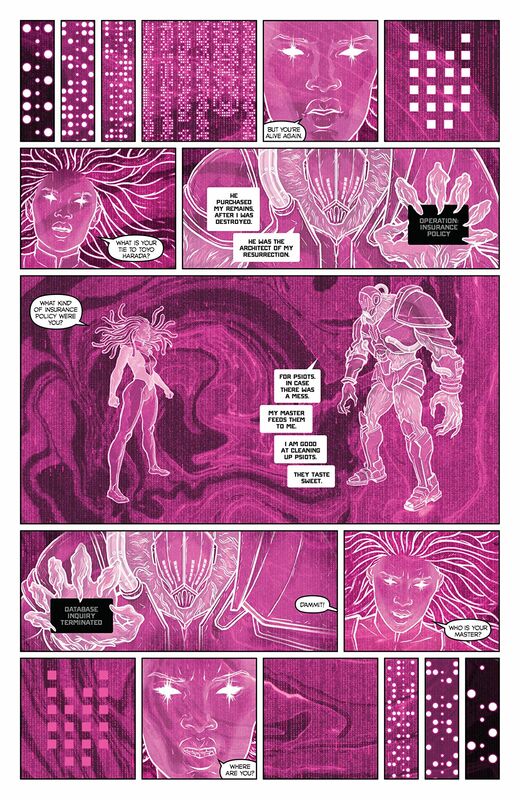 Heisserer handles it well, having gone so far as to script prequels and origin stories independent from what’s being published, just so he’d have a handle on a group of new characters and to give them a sense of already being established. It works out great, letting the reader get to know the characters through their actions, in an excellent example of the “show, don’t tell” writing maxim. The kids already know who they are, and now we get to pick up their stories already in progress. The other hallmark of Valiant comics has been in their art department. Their books have always utilized some of the best talent in the industry, artists who excel at presenting normal people in extraordinary circumstances… once again, it isn’t a world built up around the characters. Raul Allen & Patricia Martin are upholding that tradition, crafting a more realistic-looking world, populated by people who you could walk right by on the streets without a second look. Okay… not Rex-O. I’m pretty sure he’d draw attention, looking kinda like the Predator wearing a Jedi cloak. Now that I’m thinking about it, even that is a pretty cool contrast, especially in the action sequences. In one scene, we’re given this hulking monstrosity trying to hack pieces off of a guy (Avichal) wearing slacks, an overcoat, and a turban. As the scene moves along, Avichal is shifting back and forth between flesh and stone, defending himself but unable to move while stone and therefore creating new problems for his friends. 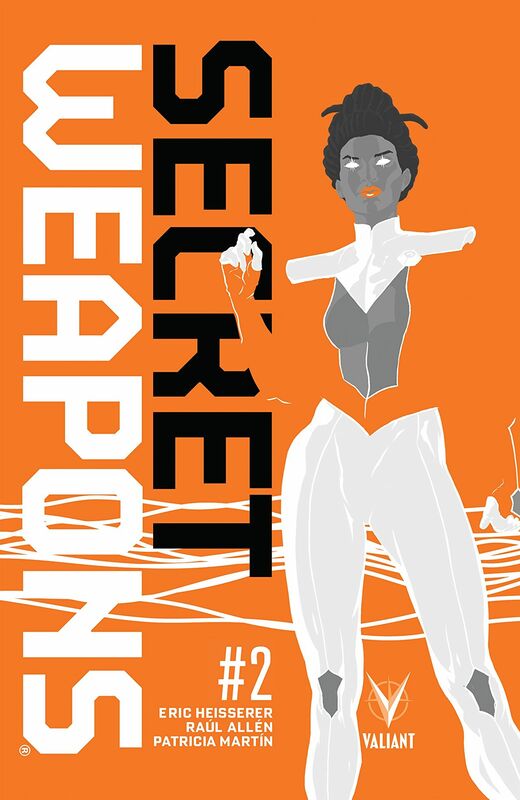 Secret Weapons may not be moving along at break-neck speed, but it is building up to something and it isn’t spoon feeding the reader to do it. The characters don’t have anything easy, their powers not always particularly helpful in a fight (if you’re waiting for Owen to manifest something like a blaster rifle or shotgun, you’re gonna have to wait a while). What I am looking forward to, though, is that singular moment… You know what I’m talking about, right? That moment when each character makes the jump from near-helpless victim to self-actualized protagonist, taking control of his or her own fate. Get on board now, or you might miss it.